Strike a pose with Primavera Couture 1743. This long gown offers a scoop neckline with full length sleeves. 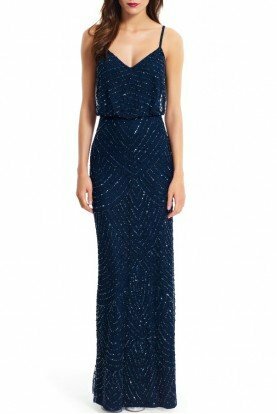 Patterned sequins adorn the entire silhouette from the top cascading down the full length hemline. Dress length 63" hollow to hem.